Petrotrin workers using the de-oil-it product on pirogues at Point Sable Beach in La Brea, yesterday. 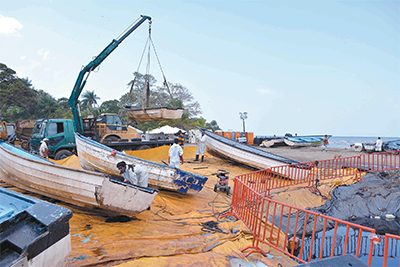 Fishermen along the south-western peninsula whose boats were affected by Petrotrin’s 11 oil spills were able to clean their vessels for the first time yesterday using a non-toxic product called “de-oil-it” sourced from the United States. On Friday, brothers Andrew and John Collier, owners of Tank Fuel Services Ltd, along with regional lead of the “de-oil-it” product David Bovell gave president of the La Brea Fishing Association Alvin La Borde and a small group of fishermen a demonstration of the product being used for oil spill clean-up in the presence of Petrotrin’s officials. 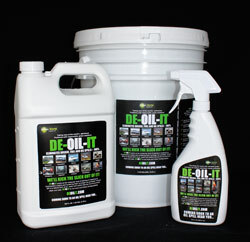 DE-OIL-IT wants what is best for our environment and makes that an important consideration. 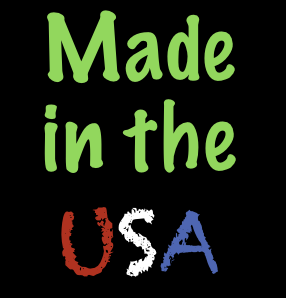 Unlike other products, DE-OIL-IT doesn’t sink petroleum waste to the bottom of the ocean or move it to poisonous dump sites. 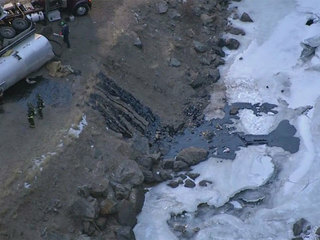 Eventually that discarded toxic waste will contaminate our waterways, leach into our water supplies and adversely affect marine, plant, animal and human life. Oil industry maintains that dispersants should be part of routine response to deep-water blowouts. 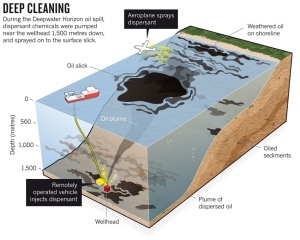 No aspect of the 2010 Deepwater Horizon oil spill in the Gulf of Mexico was more controversial than the decision to pump massive doses of chemical dispersant into the oil gushing from 1,500 metres down (see ‘Deep cleaning’). 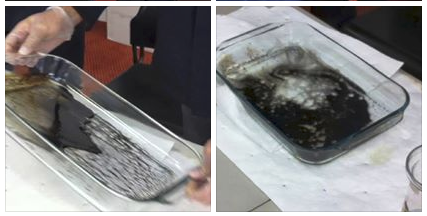 Advocates said that the mixture of solvents and detergent would separate the deep oil plume into finer droplets, speeding its breakdown. Critics feared damage to deep-water ecosystems. 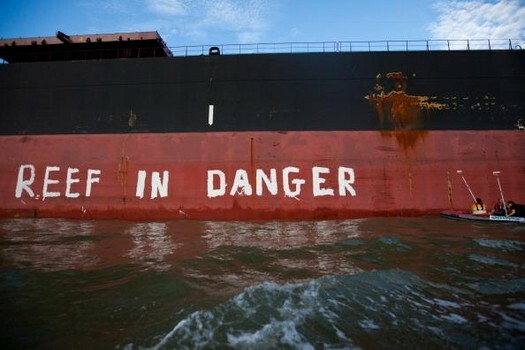 PUERTO PRINCESA, Palawan – The critical process of fuel extraction to prevent an oil spill in reef from the grounded USS Guardian in Tubbataha Reef is now underway and may be expected to be completed within 48 hours, according to the Philippine Coast Guard. However, the full extent of the damage to the UNESCO-declared marine wildife preserve won’t be known until the ship is removed by the end of January.